The year is 1973. The Government want the land for the military. 1 500 people are arbitrarily removed to other areas by train and lorry with some of their livestock – but not before witnessing their houses being axed and torched in front of their eyes. It is cruel and barbarous. Six year old Pascalena Florrie finds herself deposited in Demaraland, in Namibia. Given that Namibia is the combined size of the UK and France together but only has just over 2 million inhabitants, the loneliness in the vast desert of Demaraland, can’t be imagined. In this bleak moonscape where no towns or schools or means of transport except donkey carts exist, and where only a few natural springs provide water, Pascalena becomes goatherd to her family’s goats. She takes them into the veld each morning to graze, along with some dogs to keep marauding leopard, desert elephant and lion at bay. No time for school – there is no school – and at night sleeping on the dung floor of a house made from unfired, mud bricks. This is no Heidi story. 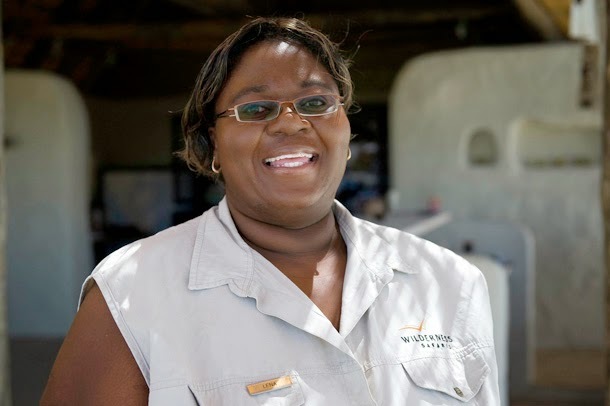 On a recent visit to Demaraland, I met Lena and she told me that as soon as she heard that Wilderness Safaris was setting up a conservancy in the area, she applied for a job as waitress. In spite of the fact that she spoke only Afrikaans, the language forced on the Nama people by the Government, she was given the job. She persuaded the Camp Manager – the first white person she had ever laid eyes on – to give her list of words every day – simple words like broccoli, butter, glass, coffee, good morning. Today Lena is Area Manager responsible for four camps in north-west Namibia and she was the first black Namibian to be appointed as a manager of a guest lodge after the country’s independence. She provides the link between Wilderness Safaris and the local communities who are joint venture partners of these four camps. She initiates local projects, hosts journalists and agents and attends the community meetings, helping them participate meaningfully as stakeholders. On the day after I met her she attended one of these meeting and the next morning, she was beaming and said she was feeling very ‘powerful’. Such is her energy! This is a long preamble to something meaningful for us as children’s writers. Many of you have already generously contributed books through dynamo Nicky Schmidt’s plea on Facebook, to the Children In the Wilderness Project. Two weeks ago I met Janet Wilkinson who heads the Project and donated some of my books – both of us coincidently wearing white shirts but her's emblazoned with the Wilderness Safari logo! While chatting I realised I was about to visit some of the very camps where the children of Children In the Wilderness are hosted. The children stay in the same camps normally taken up by tourists, to learn how to communicate not just with nature but with people too and to learn to be good stewards of the world. They hold binoculars for the first time, see the eyelash of an elephant up close, put on frog feet and goggles in the coastal camps and study the pulsating life of a jellyfish. The excitement is tangible. To this heady mix, add your books that will give them the fluidity of language to describe what they see and feel and do. If you know the landscape into which your books are going and what the children are gaining, you will understand the need and the value attached to your contributions. Franco Morao was born in 1983 on a remote farm. At the age of two he was put into a children’s home (the SOS Children’s Village) in Windhoek, where he stayed for most of his school life. On completion of secondary school and by a stroke of incredible timing, Wilderness Safaris' Children In The Wilderness programme approached the SOS Children's Home to bring some of the orphans out into the wilderness to experience their country's natural wonders. In this group was a young, ambitious and eager Franco. "We were hosted at Kulala Wilderness Camp. This overwhelmed me because most of us had never had such an opportunity to learn about the environment by being in the wilderness itself. I was brought up in a very enclosed environment, so that the only life I knew was that within the orphanage. When I saw the open spaces I realised that this was where I wanted to be. I had found a new family. Where there was a sanctuary and where everyone always feels welcome." 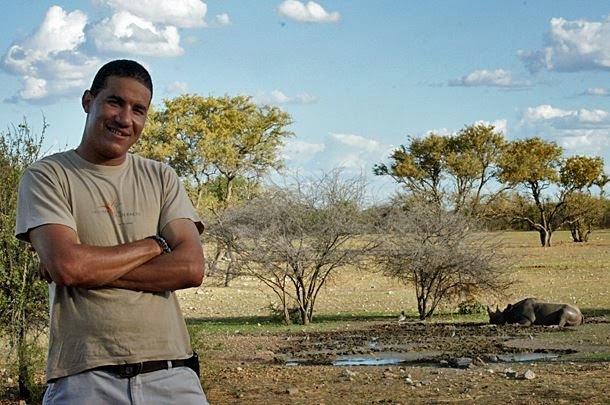 After completing the internal training that Wilderness Safaris offered, he was appointed as a trainee guide at the same lodge where his life-changing experience took place. 'Now he is one of the most loved guides in Namibia - children adore him...' says Janet. Today Franco is learning Italian, Spanish and German to be able to communicate with overseas guests and is now working as a Specialist Guide for touring groups. Unfortunately I didn’t get to meet him. From goat-herd to Regional Manager, from orphan to Specialist Guide – just two examples of words and knowledge having made all the difference. Your books are meaningful in a landscape where libraries are few. Hopefully soon there will be a central point in the UK where donated books can be collected to save on the heavy postage costs. Thank you dynamo Nicky for making us aware of this opportunity to give books to Children In the Wilderness that will help turn them into the more encompassing, Children ‘of ‘ the Wilderness. If these are the children who are learning to manage and conserve the world, perhaps the future of the rhino will not be so bleak. Real sustainability is realised by a culture that involves children. No I didn't fly the 6 seater single prop plane! Dianne Hofmeyr's latest picture book Zeraffa Giraffa, illustrated by Jane Ray and published by Frances Lincoln, is on the UKLA longlist. Dianne and Nicky, you gals have been fantastic in our effort to transform a little rural school library in remote KwaZulu Natal, South Africa. Can you let us know, Dianne, when the central depot is set up, to send books to? Thanks for flagging up this wonderful project. Yes Joan will do so... i hope an address in the UK will be a possiblity as the cost of postage is sometimes more than the cost of the book. But I'm just the messenger. It's been Nicky Schmidt who has galvanised the book donations.